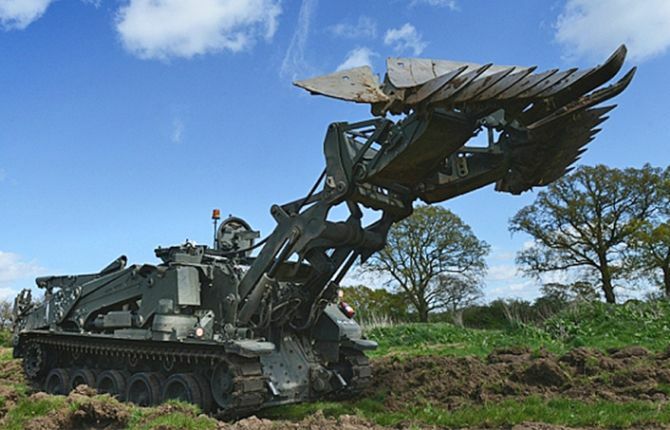 The upgraded version of the Terrier tank features a 26-foot telescopic arm that can look for buried explosives and investigate suspected stuff on the surface as well. It comes with three modules which include rock hammer, ripper and earth auger. The rock hammer can split solid concrete in matter of seconds whereas earth auger can drill holes. The ripper can tear up roads or runways, making them useless to the enemy. 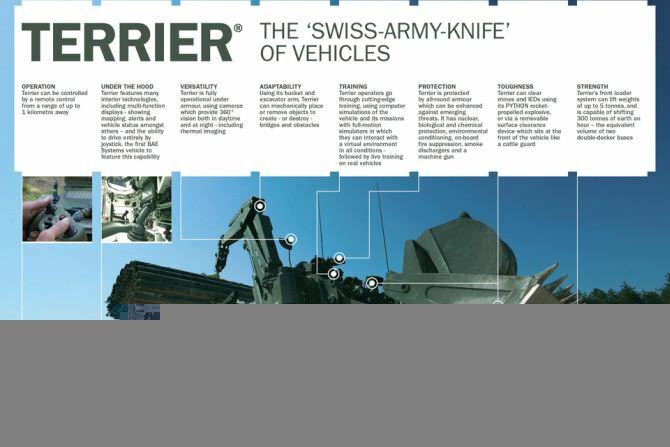 Also, the Terrier tank by BAE systems can wade through more than 6 and half feet of water. Besides that, with its front loader system, it can lift more than five tons and can shift 300 tons of earth every hour. It is powered by a Caterpillar C18 turbocharged diesel engine that churns out 700 horsepower. 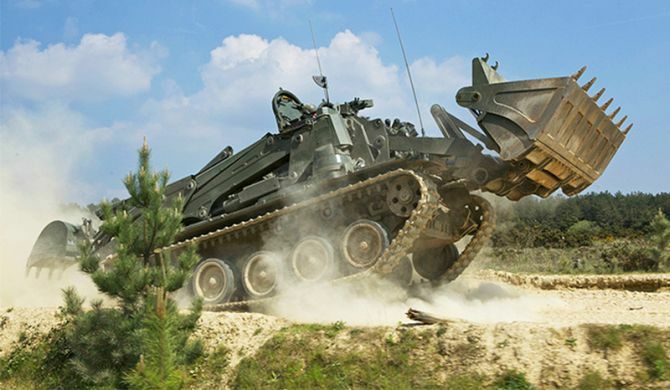 Described as the most advanced combat vehicle on earth, the Army tank can reach speeds of 45mph and can be remote controlled from a distance of more than a km away. Although, it has an internal crew of two, the tank can be operated remotely via an Xbox-style controller and a laptop. 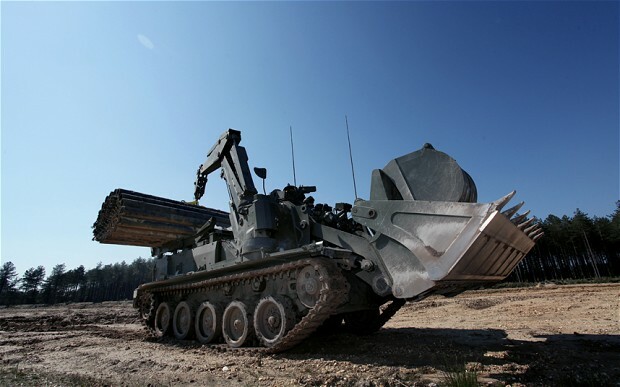 On the inside, the vehicle features “drive by wire” joystick control system as well as 360-degree camera system that has full night vision and thermal-imaging capability. 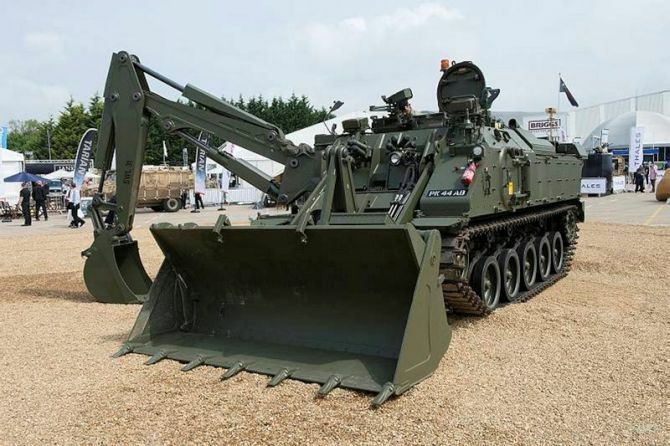 To make soldiers perfect for operating the tank, BAE Systems has also built a detailed full motion simulator that teaches them to operate the ‘Swiss Army Knife’ tank.